This US style fridge freezer arranges the fridge and freezer sections side by side, rather than on top of each other. This lets you easily access both areas quickly and easily.With an enormous gross capacity of 620 litres, you can fit all of your food produce in with ease. 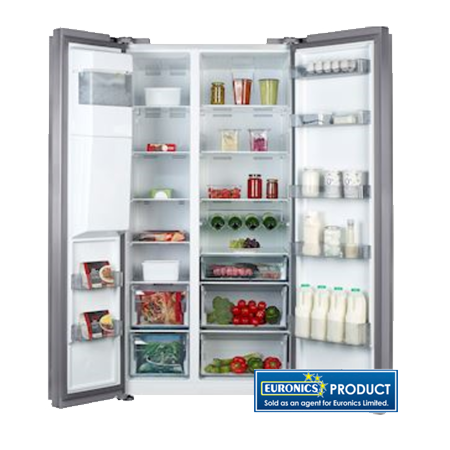 Fridge Packed with Features: The fridge offers a generous 393 litres capacity - more than enough room for your weekly shop. Arrange all your tasty, fresh produce on the four glass shelves or in the two salad compartments. A special chiller compartment maintains a low temperature, making it ideal for storing meat and fish and locking in moisture and nutrients. Use the Quick Cool feature to quickly chill new items youve just added. An interior LED light offers great visibility inside and, coupled with the transparent shelves, allows you to easily find everything youre looking for. Frost Free Freezing: The freezer provides plenty of space too, with 227 litres of capacity. With so much room, you can afford to take advantage of supermarket offers and buy in bulk, saving you money. Never spend your afternoon scraping frost out of your freezer again with Frost Free technology. The KWD2330X prevents ice crystals from forming, leaving you with a frost free freezer and more time to spend on more enjoyable activities. Awarded a 4 star rating, the freezer performs exceptionally well and is suitable for freezing food from fresh. There is also a fast freeze function, which is perfect for locking in nutrients. Worried about power cuts? The KWD2330X comes with power failure technology that maintains the temperature inside the appliance for up to 21 hours, keeping all your produce frozen. Extra Features: Dual Cooling technology provides faster cooling and better humidity, which helps keep produce fresh and nutritious while eliminating odours. 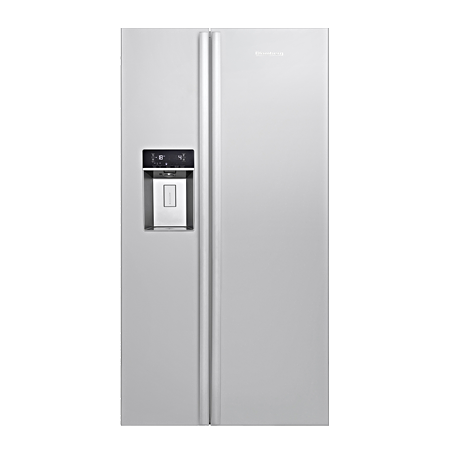 Blomberg have equipped the KWD2330X with a plumbed water and ice dispenser, perfect for those hot summer days. Locating the dispenser on the door also means that there is more space inside for your produce. Every shelf enjoys an even temperature thanks to the Air Flow feature, which helps circulate the air inside the appliance, resulting in consistent chilling. Pay an initial 10% Deposit of £80.00. A £29 settlement fee is payable at the time of final payment. Settle the balance in 12 months interest free.